To repair or replace? That is the question. It can be hard sometimes to decide to part with your garage door that has given so many years of service. But its important not only for the safety of your car, but also the safety of your family that you replace the garage door when it’s on it’s last leg. The paint and finish of garage doors will begin to crack or peel over time. If you have a wooden door, it can dry out from sun exposure and may need to be refinished. Depending on how bad the damage to your door, it may be time for a replacement. 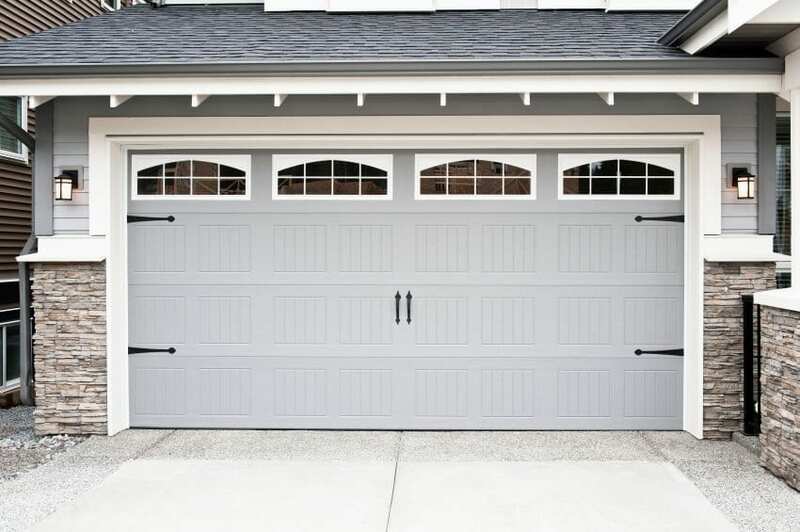 Steel garage doors can get dinged or dented. Bad weather, like hail, can give your garage door a few battle wounds. Another common cause of dings and dents are those times were you think your car is in reverse, but in actuality its in drive and you give your garage door a love bump. Depending on the size and quantity of the dents, that may be an indication that your garage door needs to be replaced. Some garage doors (especially wood) have a tendency to sag as the wood breaks down. This can break your garage door opener and also create gaps under your door that risks the security of your home. If you start seeing spaces around your garage door, it needs to be replaced. If your garage door becomes really hard to open or close then you need to call the professionals. There may be something wrong with your door or your garage door opener. Do not try to fix the garage door yourself, there may be a spring issue, and the spring can cause serious injury if not handled correctly. When your garage door needs repair or replacement, contact Action Garage Door at (877) 392-2590.